I joined Worldprofit in August 2017 having spent a huge amount of money chasing "shiny" objects on the internet. I had quite a successful Solo Ads Business that I started in 2011 but all that came crashing down when PayPal became draconian and shut loads of us down, refusing to explain their reasons! What I see in Worldprofit is a solid business. This is the first REAL money I have made online since 2011 and I am extremely happy with how my business has grown in a VERY short space of time. The support is excellent. The training provided by George Kosch is superb. I have been a teacher since 1971 and I can tell you that George is one of the BEST I have ever encountered. You can do no better than to join Worldprofit to start making a solid online income. Previous Article Awesome Worldprofit Review and Testimonial just in from Teresa Hutcheson. That makes our day here at Worldprofit! 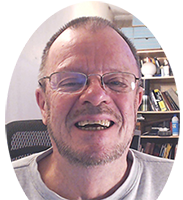 Next Article Review: Worldprofit’a Affiliate Marketing Training with George Kosch presented LIVE Friday April 6, 2018.